What is American Endurance Racing? 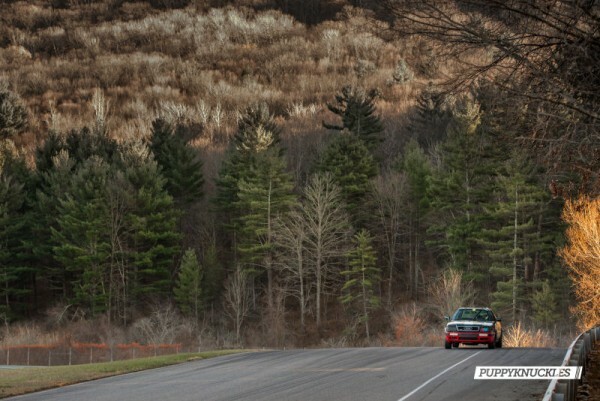 American Endurance Racing is a new endurance road-racing series in it’s second year based out of the Northeast US. It’s “race what ya got” style with a six-page rulebook. Typically, AER has seven hours of practice and qualifying followed by eighteen hours of racing spread evenly over Saturday and Sunday. Cars must be safe (would be able to pass inspection with NASA, SCCA, BMW Club Racing et al) and drivers must be licensed or have adequate racing experience. Since you can bring anything from an “A class” LeMons car to a fully built racecar, there’s a single limiter: tires. They need to be 180 treadwear, and it’s a great equalizer. Everyone is also required to take five 3:00 pit stops which helps ensure that the teams with the fanciest equipment can’t beat everyone in the pits. How does classing work if you can race whatever you’ve got? AER is bracket racing, so what class you end up in depends on what times you are running in qualifying. Depending on who shows up and with what cars, the track, the weather, and more, this can change from race to race! If there’s one driver significantly faster than the rest, that will be considered. It’s great because everything ends up being fairly competitive. If your (or your team’s) times improve more significantly than the rest of the field during the race, you’ll be bumped up to a higher class. It would be difficult to sandbag your qualifying times if you don’t even know where the time-breaks will be. Basically, you could do it, but it’s hard to do, and even harder to do well. I’ve seen it happen, and it’s pretty easy to tell when something like that is going on and you’ll wind up with people losing respect for you. In addition, the organizers are firm believers that the joke’s on you if you do decide to sandbag, because where’s the real fun in driving eighteen hours at 8/10ths? What will you be hearing from me about? Primarily, I’ll be giving recaps of American Endurance Racing events– I race for and manage two teams. Earn the Drive Racing is my first team and we’ve been running a SM2 Miata in a couple AER events this year. My other team is G-tron. G-tron started out as a LeMons team, but we switched over to AER last fall. It’s a team of race-prepped Audi 90s; we’ve built six of them so far and field three at each AER race. Last year we ran five at once and had twenty drivers, along with four mechanics. Three cars is a lot to manage for eighteen hours of racing, and we typically bring ten or so drivers now. The same mechanics take care of all the cars for both G-tron and Earn the Drive Racing and they are amazing. Our head mechanic is Matt. He most recently worked for Mercedes with the AMG Driving Academy, but he liked us better. Stay tuned for the mid-season recap!